In the beginning of January, 2010, accompanied by around 10 students, Dr. THUY Chanthourn did field studies in Preah Vihear province in order to find the Mluprei site which Mr. Paul Levy mentioned in a book of École Française d’Extrême Orient in 1942. Accidentally, when they arrived at the sparse forest, about 2 kilometers south of the center of Chep district, trucks and excavators were working for ASEAN road construction. Then, his team saw black-ash soil, jet-black stones, and toyere unearthed. They immediately stopped the work to check and study the site. 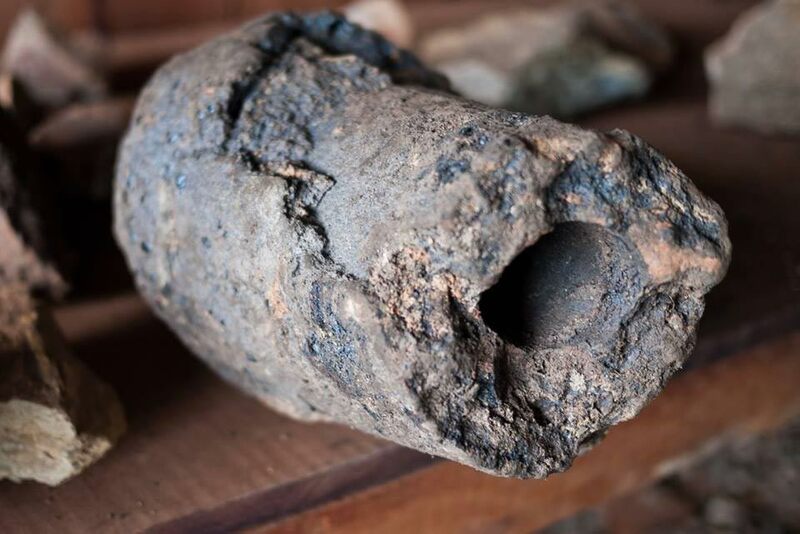 That turned out to be a new discovery of the ancient Khmer iron industry. It shows that our Khmer ancestor could have high technology to smelt iron ore and they knew how to use fire to get good iron quality and similar chemical compositions. Those definitely show that ancient Khmers in the pre-Angkor period could heat fire up to thousands of degrees Celsius for smelter iron ore. This lecture will show how Iron industry plays the important role for the richness and wonder of Khmer culture and civilization because ancient Khmers could produce and cast many types of weapons to protect the country and tools to use in daily life. They made iron tools such as chisels, Pheng (iron pickaxe tool) to cut sand stone and laterite for building temples.